Driving safety is a significant consideration for many companies, especially when it comes to complying with FMCSA (Federal Motor Carrier Safety Administration) or Department of Transportation regulations. 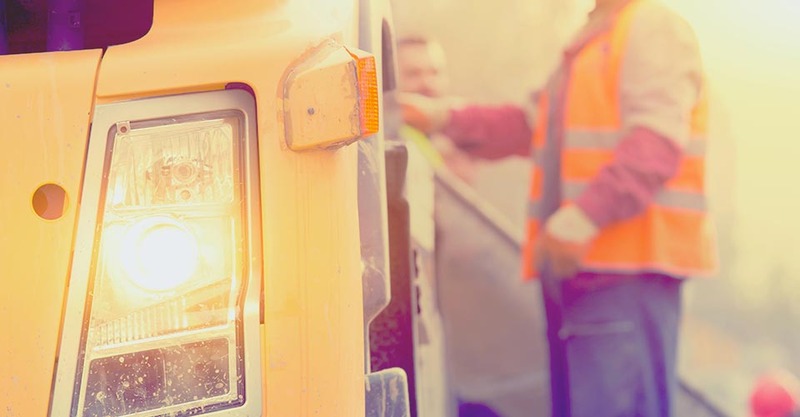 Today’s blog post looks at an important area of concern for any organization that has employee drivers and company vehicles — the pre- and post-trip truck inspection. The owner of the truck is responsible for a thorough, annual inspection, but federal and state law places the responsibility of performing pre- and post-trip inspections on the driver (see FMCSA Part 396). That includes maintaining an ongoing awareness of the vehicle’s operating condition throughout the trip as well. State and federal laws forbid operating a vehicle that is in an unsafe condition. If a company driver is pulled over by a state or federal official and found to be operating a vehicle that is unsafe, he or she will not be able to go any further with that truck until all necessary repairs are made. Checking the Engine Compartment – Items to review include fluid levels, hose integrity, cracks or excessive wear on parts, belt tightness, battery terminals corrosion. Inspecting Inside the Cab – Warning lights, unusual noises, gauges indicating abnormal ranges, looseness or damaged controls; all should be noted and addressed prior to setting out. Checking the Lights – ALL the lights need a look: low beams, high beams, four-way flashers, parking, clearance, side-marker, and identification lights. Conducting a Walk-around Inspection – From clean windows to functioning door locks to tires to leaks to fuel tank lines, make this a thorough walk-around. Checking the Signal Lights – Turn signals and brake lights, all in working order. Checking the Brake System – Test those hydraulic brakes, parking brake, and the test service brake. Keep in mind that specific policies vary from company to company as to the parts of a truck that can and cannot be inspected by the driver. Drivers should check with their supervisor for their company’s requirements. Decision Driving® covers the importance of a positive approach to safe driving and how to expand your field of vision on the road. Also included are skills for planning an escape route in the event of an accident ahead, and how to take safe, but decisive action behind the wheel. Course is available in Spanish and French. Learn more about all our driver courses here.